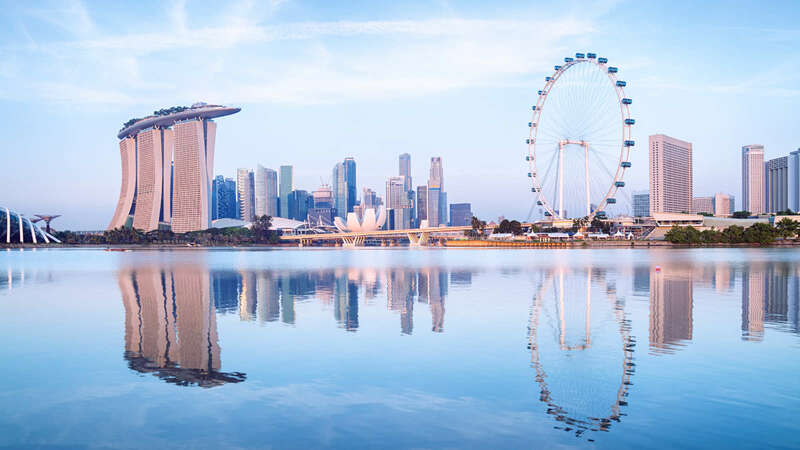 Singapore, an island city-state off southern Malaysia, is an international financial center with a tropical climate and multicultural inhabitants. Singapore is a global commerce, finance and transport hub. It has been recognized as the most thchnology-ready nation, top international meetings city (UIA), city with best investment potential. world’s smartest city, world’s safest country, third most competiteve country, third largest foreign exchange market, third largest financial center, third largest oil refining and trading center and second busiest container port. Invitation letter from a Singaporean company. A set of passport photocopies of the first 5 pages. 1 visa application form with original passport signature. 6 months bank statement and bank balance of at least 2.5 lacs per person. A letter from the office if the personnel is appointed by a Singaporean company. A student ID card copy if the student is admitted in educational institute. A NOC for Govt. officials. Hotel reservation and air ticket booking copy. Passport validity of 6 months at least.